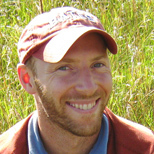 Brandon M. Breen is a writer, editor, conservation biologist and alumnus of Bates College and the University of Minnesota. He lives in Ashland, Oregon, and enjoys backpacking, listening to birdsong and drinking tea. OPINION: Would you invite an environmentalist to your party?